I am excited to be a track leader and teach sourcing mastery at my second #trulondon event hosted by the wonderful Bill Boorman, the true leader of recruiting unconferences. The last #trulondon was, perhaps, the most content-rich event I had ever been to; was it in spite or because of the lack of preparations, presentations, and slides? The days were packed with interaction, ideas, technical tips, advice, and brainstorming. Katharine Robinson “the Sourceress” and I taught an all-day interactive sourcing class after just having met, and it was a happy experience. 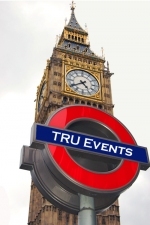 I am looking forward to representing sourcing knowledge and enthusiasm at #trulondon/#trusource again this year. For the folks who haven’t met me: I work as a Partner at Brain Gain Recruiting, performing sourcing for our own contingency searches as well as for others (companies, agencies) on a contract basis. I used to be a Software Manager and an Engineer, and have a degree in Math. 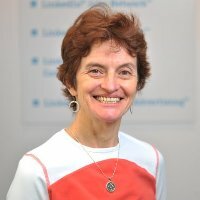 This helps me to understand hiring managers and to navigate web searching techniques. I moderate web sourcing communities called “Boolean Strings” on Ning and on LinkedIn. Here are my profiles: Irina on LinkedIn, @braingain on Twitter. My blog has some tips for sourcers. Here’s what I can offer at the upcoming unconference: hands-on sourcing for your particular requirements (bring them with you); Q&A; tips and tricks; and demos of cool sourcing tools. Here are some questions I can answer. How does one get going with advanced searches on Google? How do Google and Bing compare? What are “people search engines”? Will semantic search replace Boolean? How is LinkedIn different from a job board? How many people can you find on LinkedIn? Which account type is the best? How can you send multiple messages on LinkedIn in one click? Can you recruit on Twitter? How do you include a location in a search? How do sourcing techniques vary depending on the country/region? How do you search for a specific degree? What can you do if you have no results in a search? What can you do if the results are irrelevant? How do you speed up your search results’ filtering? How do you find out the contact information of a LinkedIn member? How do you find lists of people with contact info? How do you verify email addresses? What is the best way to initiate a contact with a prospect you’ve found? (and a few more). Hope to see you in London on Feb 15-18, 2011!